In the 1960s and 1970s, Swedish artists Öyvind Fahlström and Barbro Östlihn lived and worked in New York, on 128 Front Street in the Lower Manhattan (white building pictured in center of the above image). The series Front-time Reworkings looks at their artistic work methods (or records of such methods), and “reworks” certain aspects of these, from a future perspective. By investigating records of Östlihn’s working method, i.e. photographs of buildings and walls, the project focuses on how time can transform the value and meaning of such documents. And what it means to “rework” an artistic method/work material from a future perspective. (The Swedish word for ”future”– framtid – literally translates as “front-time”). 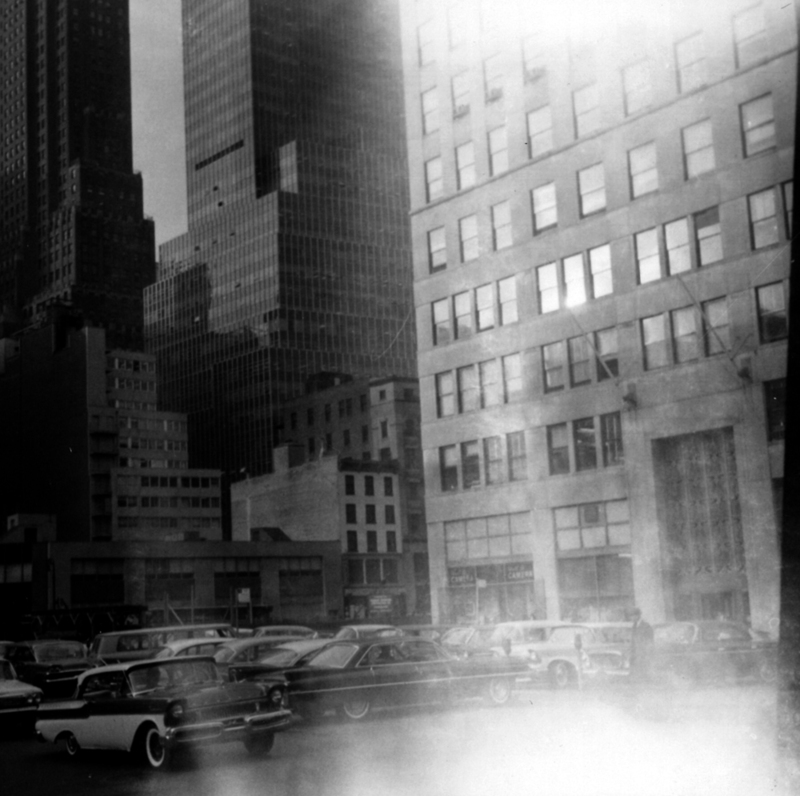 Barbro Östlihn would walk up and down the streets of Lower Manhattan and take pictures with her Kodac camera: images of buildings, in-between spaces, walls. Elements of these photographs would then serve as inspiration and reference for her large scale, often quite abstract paintings. Even though Östlihn never showed these photographs as art, she had still kept them – perhaps as a memory of a work process, or of a city that is constantly changing. In 2009, I went on a mission to locate the sites, using Östlihn’s discarded photographs as my only leads. I was employing a similar method; walking the streets, observing, searching. I then placed posters of Östlihn’s original photos onto their corresponding sites – no matter how changed the environment had become – using them as backdrops for what would play out in the present. Front-Time Reworkings #1 is a 3-channel video installation, which documents this action, including the investigation as well as archival footage. It’s form is built on the basic premise of the comic strip, where the past, the present and the future are superimposed and visible simultaneously. 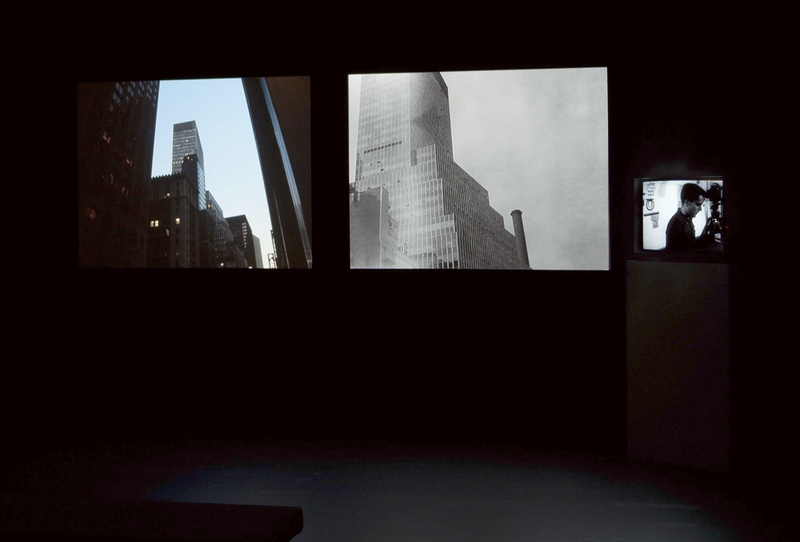 ‘Matter out of Place’ at The Kitchen, New York, June 2012. Installation, The Kitchen, New York, 2012.